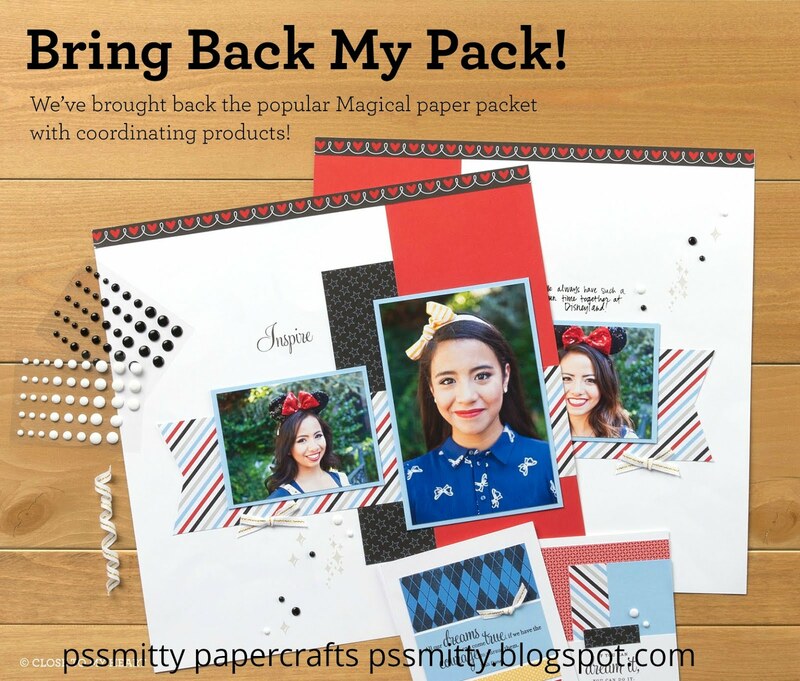 pssmitty papercrafts: Artbooking! The newest Cricut cartridge exclusively from Close to My Heart! Artbooking! 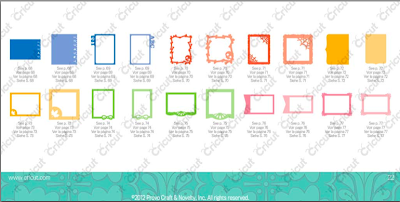 The newest Cricut cartridge exclusively from Close to My Heart! 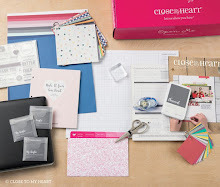 You've probably heard the buzz that there is a new Cricut cartridge available exclusively from Close to My Heart & it really is ground breaking! 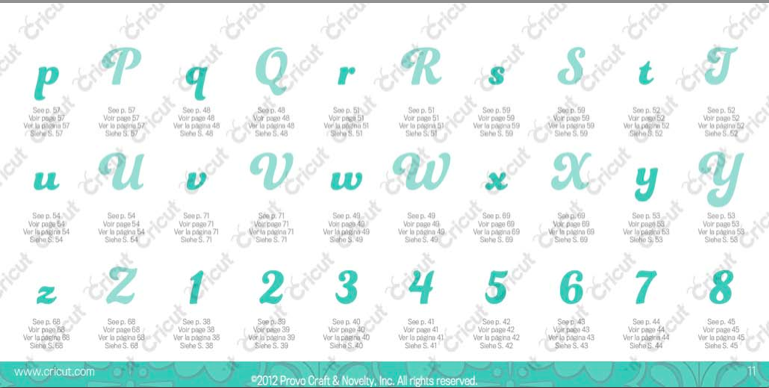 There are 700 images that include overlays, welded words and phrases, fonts and shapes! 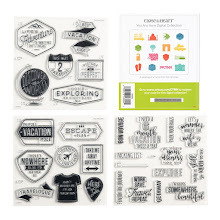 The Cricut Artbooking Collection contains the cartridge, 2 Cricut books, 3 My Acrylix stamp sets and 3 sheets of dimensional elements. 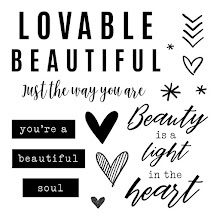 And you are going to LOVE it! At convention last month we were given a mini book to assemble that was cut from this awesome cartridge. All of the conventions I've attended and all of the projects I've created at convention, (& some have been pretty fantastic!) this is by far my very most favorite! I can't remember the last time I enjoyed assembling a project as much as I enjoyed this one! 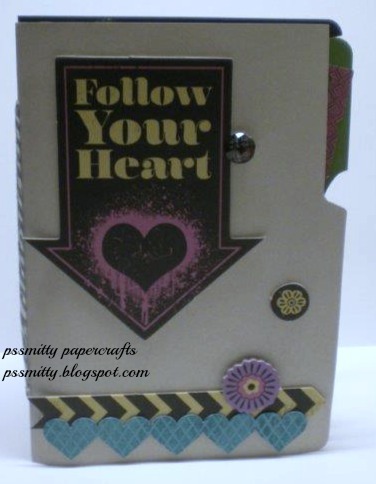 The cover of this mini album uses chipboard elements from the NEW Laughing Lola Complements. The pretty gem is from the NEW Laughing Lola Assortment. The strip of hearts (that are cut welded together without anything more than selecting the image right off the cartridge!) 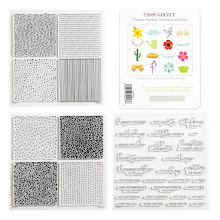 are stamped with one of the NEW Geometric Backgrounds Flair stamps. I love these pages! 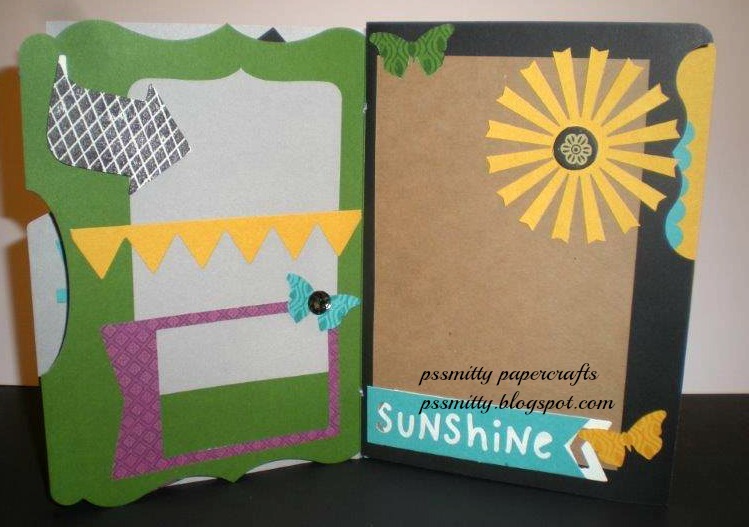 The stamped arrow, the welded banner, the picture frame, the fun sunshine shape, the sentiment and butterflies all layer together so nicely! the butterflies are also stamped with the Geometric Background Flair stamps.The purple picture frame is cut from one of the Laughing Lola papers. This is the center of the book and these are pocket pages filled with more fun shapes including photo frames and journaling tags that can be stamped with the Cricut Collection stamps. The pages have been pierced and the Grey Baker's Twine is threaded through and tied to hold the book together. 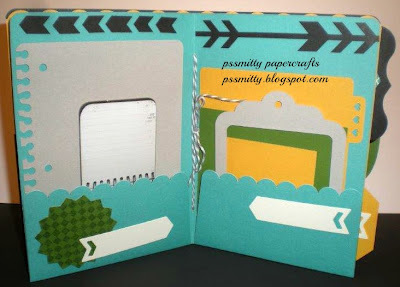 These pages have room for bigger photos and lots of journaling. 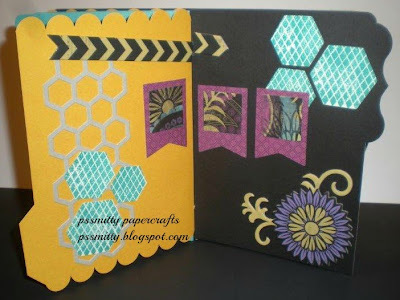 The layers of shapes and chipboard add a lot of dimension and interest to the pages. I love all these bright colors! These are the last two pages of the mini album. 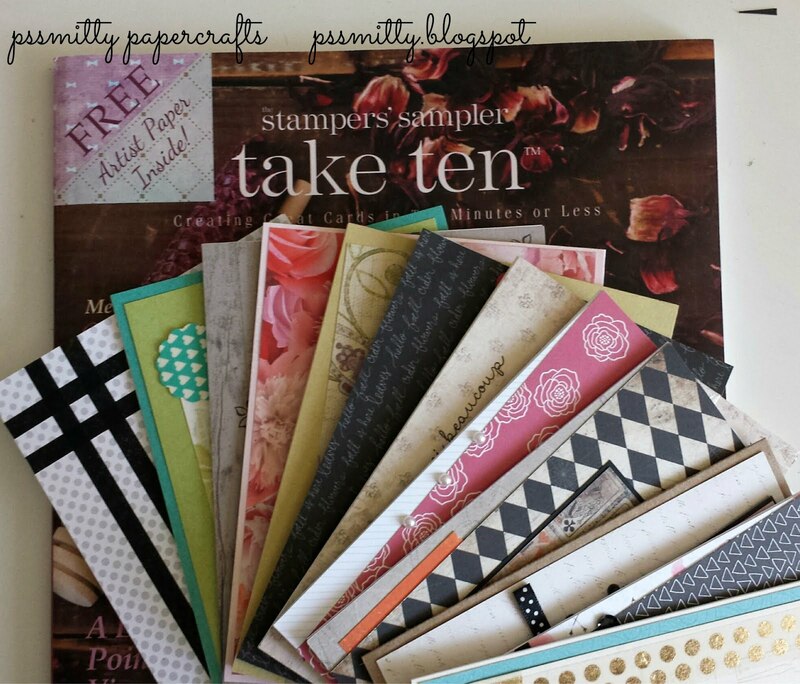 The chipboard element is the perfect ending! The black arrow cutout behind it is another one of the overlay cuts. The Close to My Heart Artbooking Collection really is awesome! 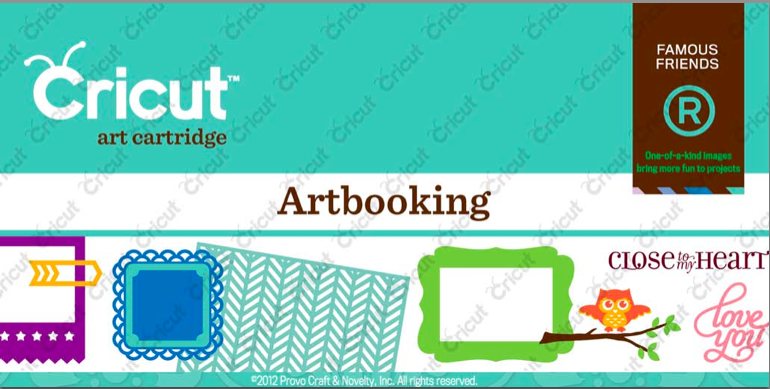 So just 10 more days until you can order your own Cricut Artbooking Collection! 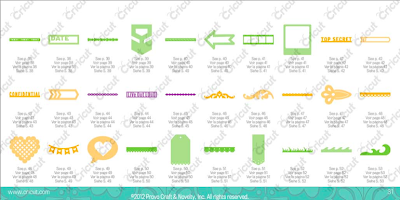 The Cricut Artbooking Collection will be only $99 and has has several overlay cuts that are designed for full size 12 x 12 scrapbook pages. 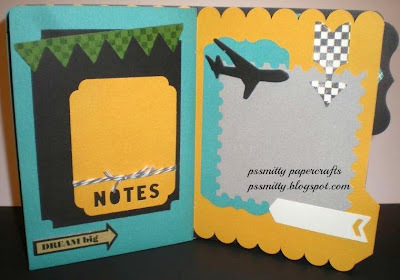 There are several mini books that can be cut with just one or two keys each. 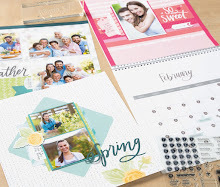 You can cut photo frames for all your pictures. 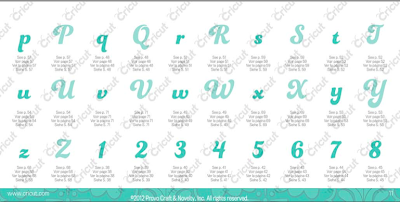 There are lots of welded words that can be cut for titles and sentiments on your pages. 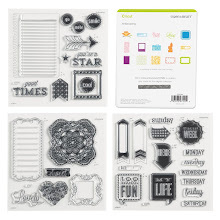 The three stamp sets in the collection will be great for journaling! So check back here on August 1st & I'll have a link posted for instant purchase! 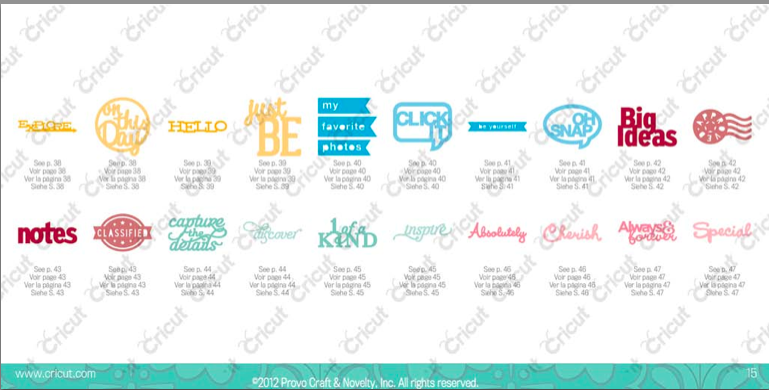 AND... For everyone who purchases the Cricut Artbooking Collection from me in August I will send you TWO FREE STAMPS! A True Thank You and A Little Gift. 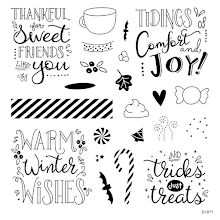 A True Thank You is pictured below - Sorry! I can't show you A Little Gift yet! But it's super cute! Since I know you are so excited to see everything this great cartridge can do.... 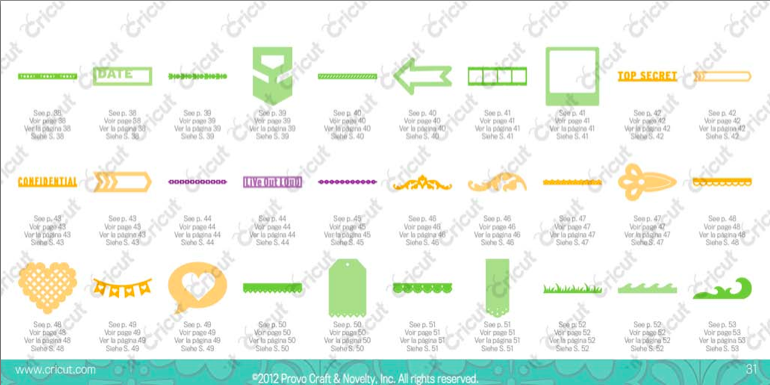 I'm giving you just a little peek at some of the pages from the Cricut book! a few of the picture frames! 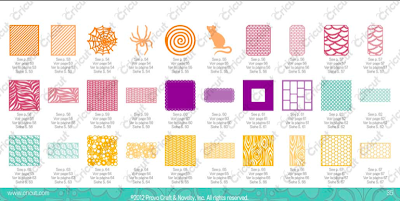 a few of the overlay cuts! 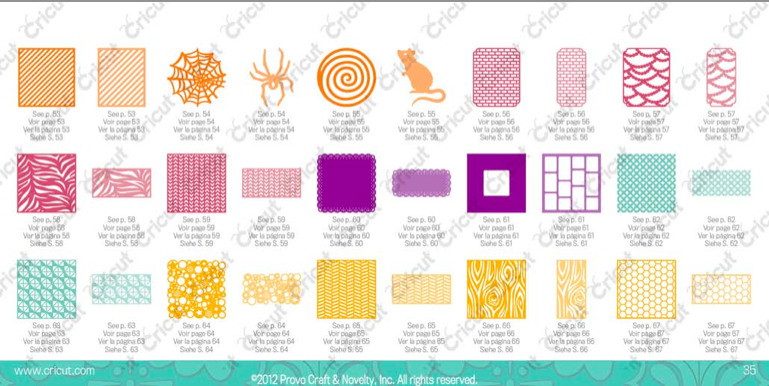 a few more overlay cuts & some Halloween fun! some of the welded sentiments! 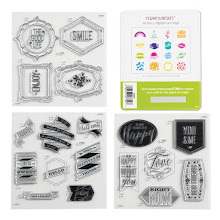 and some fun shapes, borders & tags! Fun Times @ the CTMH Convention! Treats! in Red - White & Blue!